This booklet contains short write-ups on the lives and ideas of eighteen classical liberal thinkers from the past century and a half. Together, these short biographical essays tell the story of the evolution of classical liberal thought as the benefits of freedom have spread, though haltingly and unevenly, around the world. And they point the way forward to a future of greater and more widespread wealth and well-being for all. 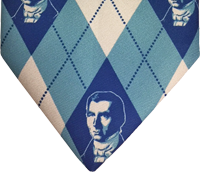 Classical liberalism, which advocates civil liberties, the rule of law, and economic freedom, originated with such thinkers as John Locke (1632–1704), Adam Smith (1723–1790), Jean-Baptiste Say (1767–1832), and David Ricardo (1772–1823). It is generally understood to encompass free trade, the protection of private property, and limited government intervention in the economy, along with freedom of religion, freedom of expression, and freedom of the press. Of course, back in the 18th and 19th centuries, this was just called “liberalism.” In the past hundred years or so, however, while self-described liberals have continued to defend civil and social liberties, they have largely abandoned economic freedom in favour of interventionism. Those who have continued to defend economic freedom are now identified as classical liberals. Not that classical liberalism is stuck in the past—far from it. While inspired by the same kinds of basic insights and ideas as Locke, Smith, Say, and Ricardo, many more recent thinkers have made major contributions to this broad body of knowledge. Indeed, several classical liberal schools of thought have emerged, including the Austrian School of Economics, the Chicago School of Economics, and Public Choice Theory, to name three of the most prominent. 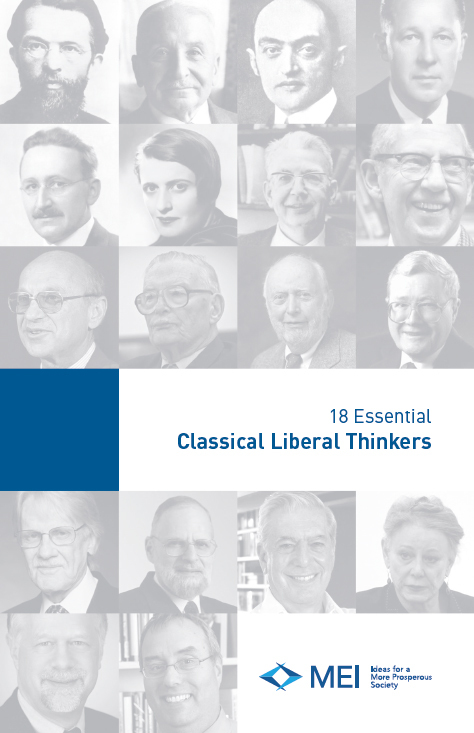 This booklet contains short write-ups on the lives and ideas of eighteen classical liberal thinkers from the past century and a half. They were written by MEI President Michel Kelly-Gagnon and MEI Vice President of Operations Jasmin Guénette, with the collaboration of various MEI staffers, over the past few years. They were made available free of charge on the MEI’s website, where all of our research on economics and public policy can also be found. They are collected here in slightly modified form, arranged chronologically by date of birth. Together, these short biographical essays tell the story of the evolution of classical liberal thought as the benefits of freedom have spread, though haltingly and unevenly, around the world. And they point the way forward to a future of greater and more widespread wealth and well-being for all.